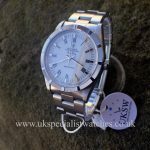 Rolex Air King with the rarer bezel known as the “Thunderbird” or “Engine turned Bezel” which bears the reference 14010. 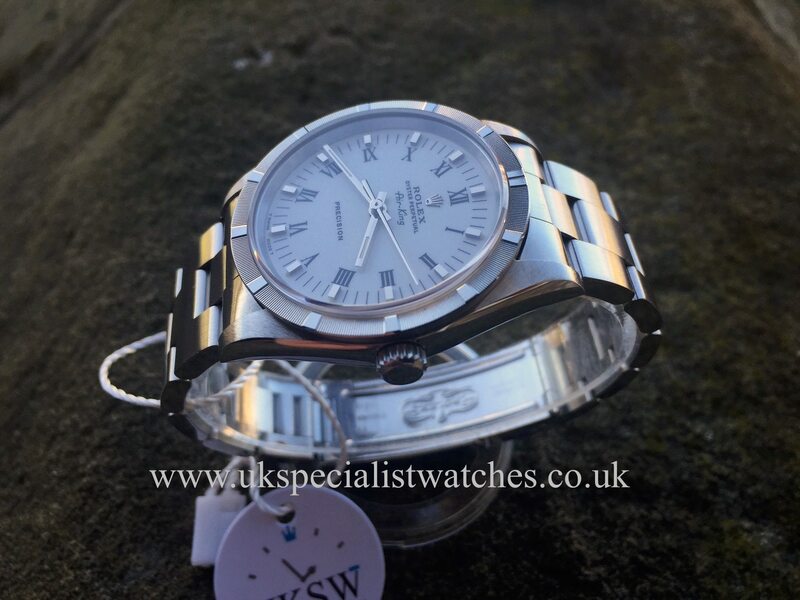 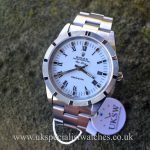 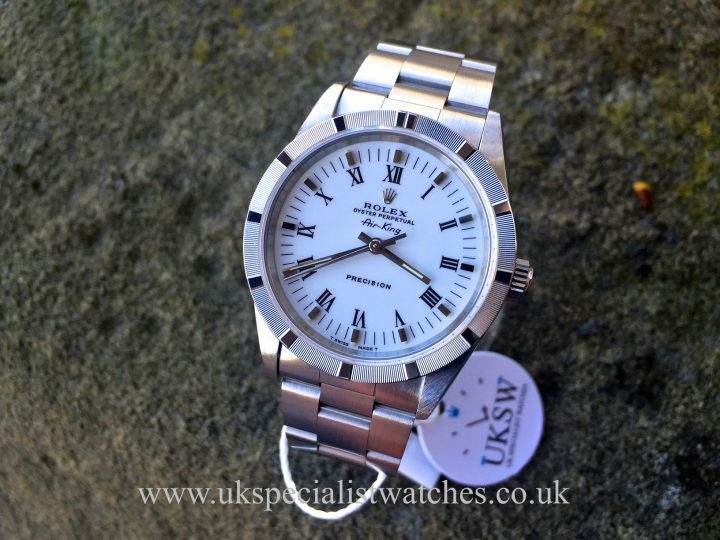 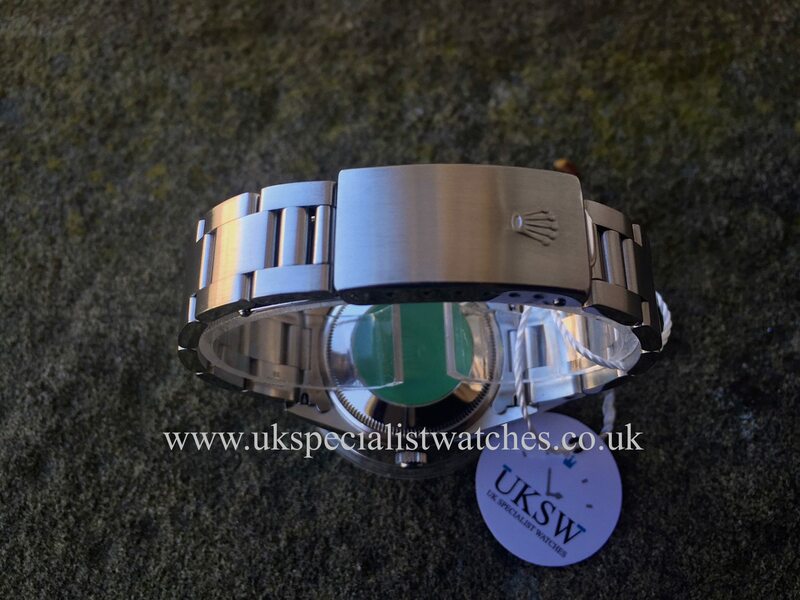 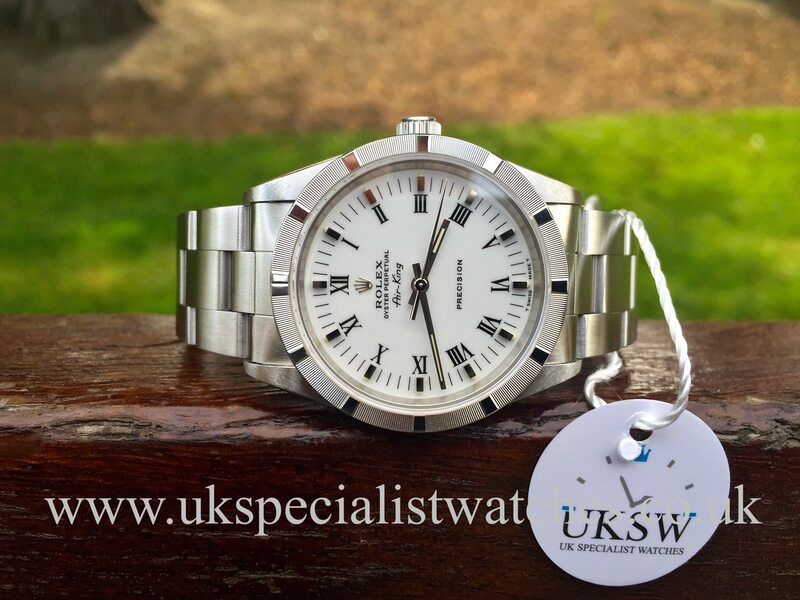 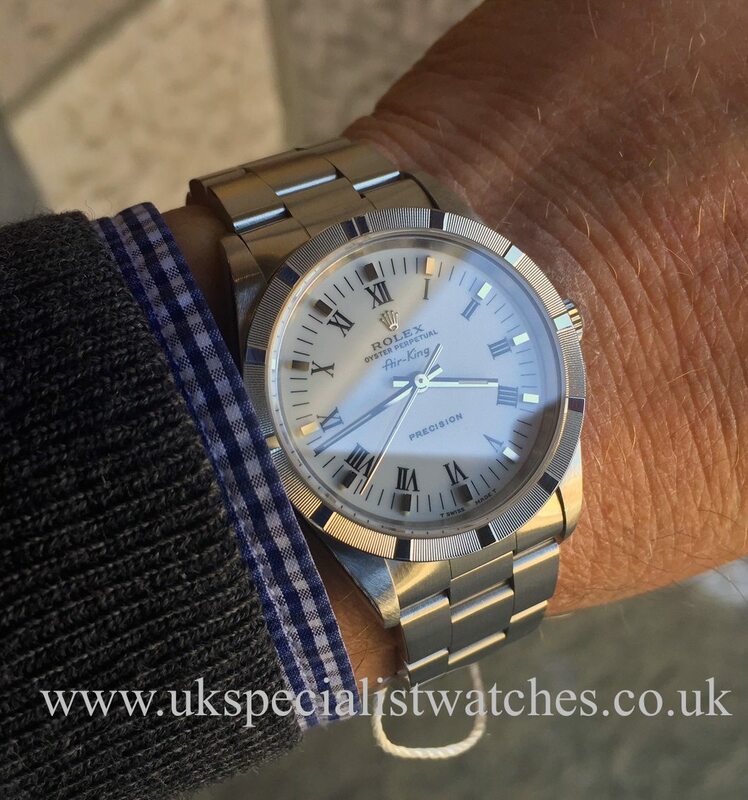 34mm Stainless steel case with oyster bracelet and double folding clasp. 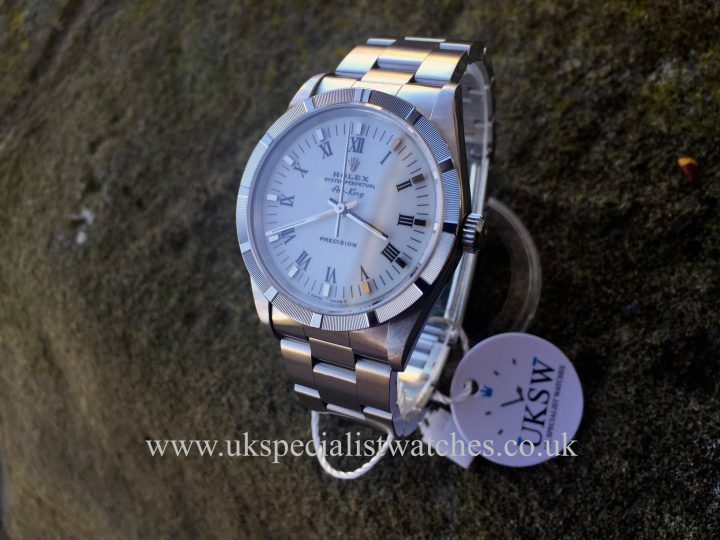 White dial with black Roman numeral hour markers, sapphire crystal glass. 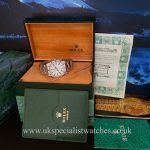 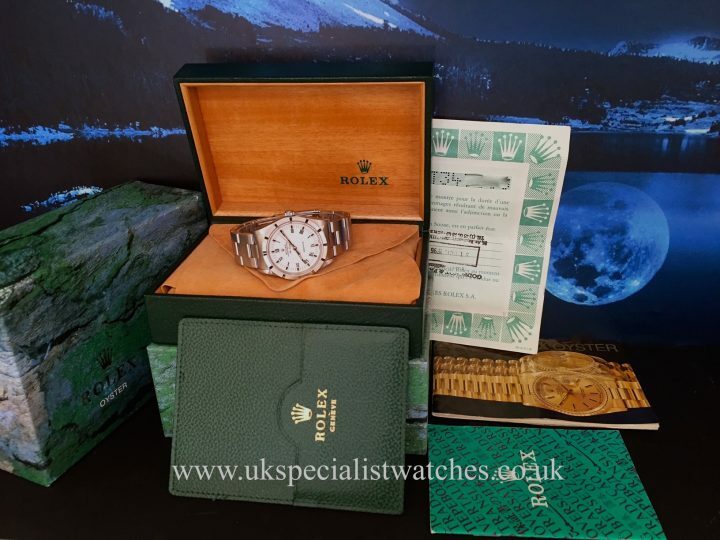 This watch is in almost as new condition and comes complete with original punched papers, box and booklets. 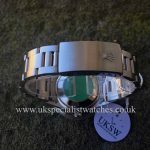 Supplied new in 1996. 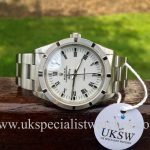 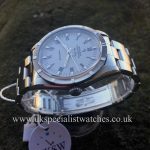 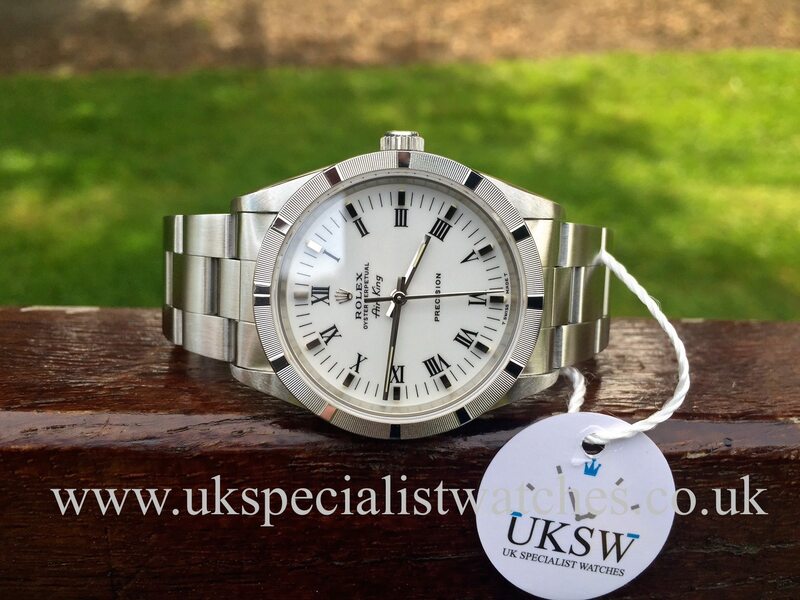 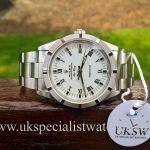 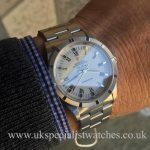 With the introduction if the new Rolex Airking at this years 2016 Basel watch fair and this particular Airking being discontinued especially with this unusual bezel will certainly be a fantastic investment.